Sorry for my blog absence lately! I have been absolutely manic for the last few weeks! First moving house, starting a new a Takeout Business whilst juggling my day job! It’s been far from quiet lately! I have missed blogging so much! 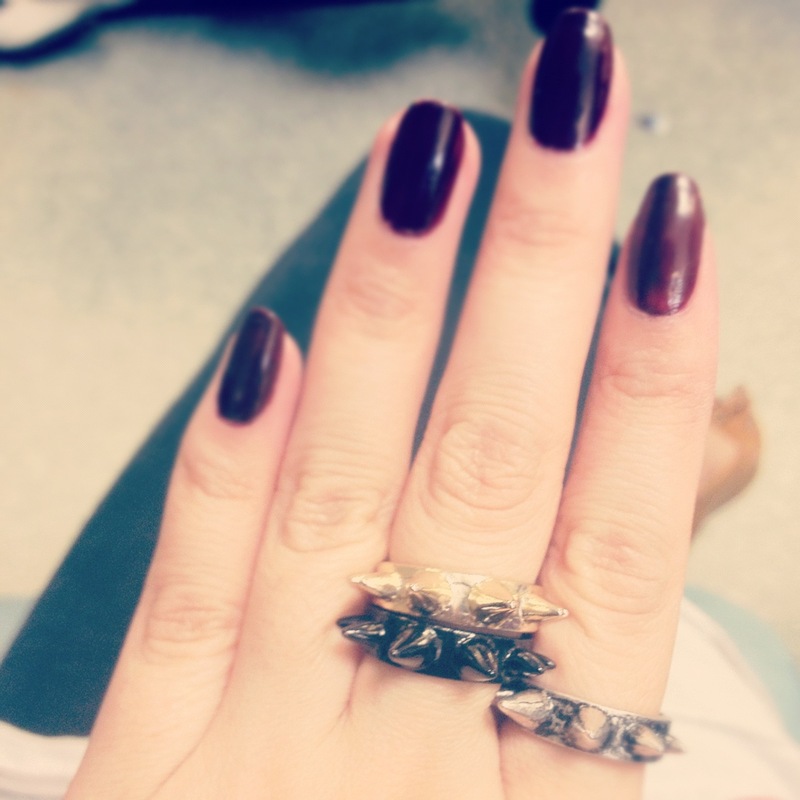 I think it looks great teamed with dark nail polish, I wore a dark, vampy red with mine rather than a black, I didn’t want to go over board with the rock/punk look haha! As usual, thanks for reading guys! 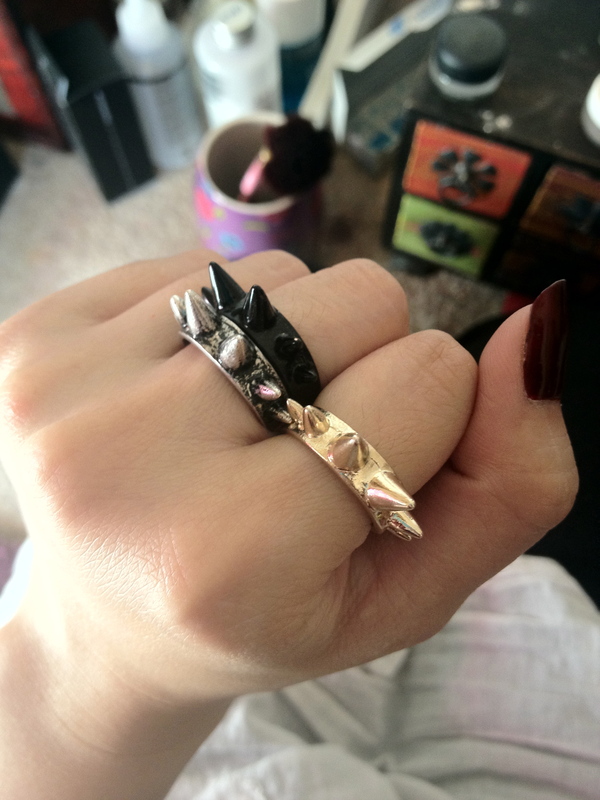 Tags: Accessories, Fashion, Jewellery, Newlook, Red Hair, rings, Shopping, spiky studs, Trio Stack rings. Bookmark the permalink. Previous post ← A BIG Thank You to you all!